These traditional Zapotec Mexican rug designs capture the beauty of the landscape, replicate the stone carvings on the archeological ruins of the Oaxaca Valley, and convey the artistry of the culture. 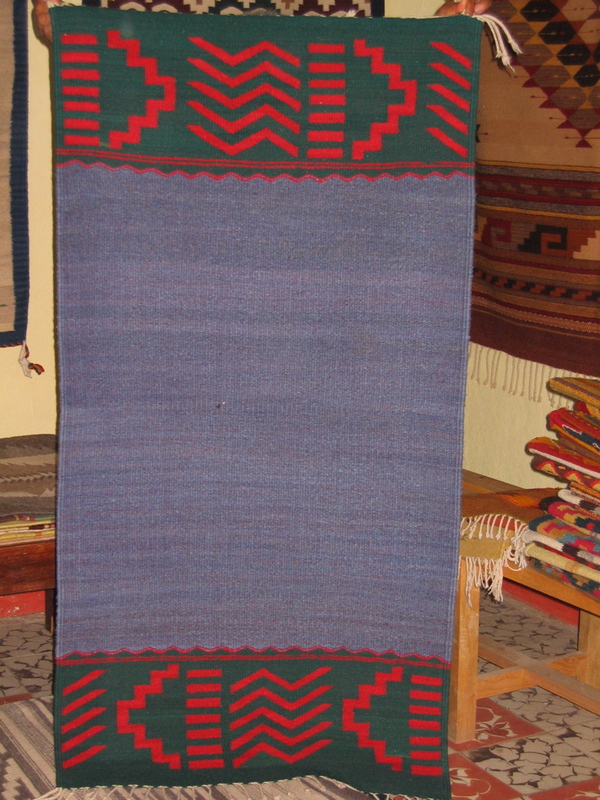 The first rug on the left, Zapotec Eye of God, uses the natural dyes of indigo blue, the cochineal bug, and pomegranates. All the rugs shown here are of the highest quality pure 100% churro sheep wool grown in the Mixtec highlands of Oaxaca. The next rug (left to right) is called Thunders and Diamonds. This is a very traditional design in the village of Teotitlan del Valle. This rug is naturally dyed, too, with lichens, cochineal, indigo and pecans. 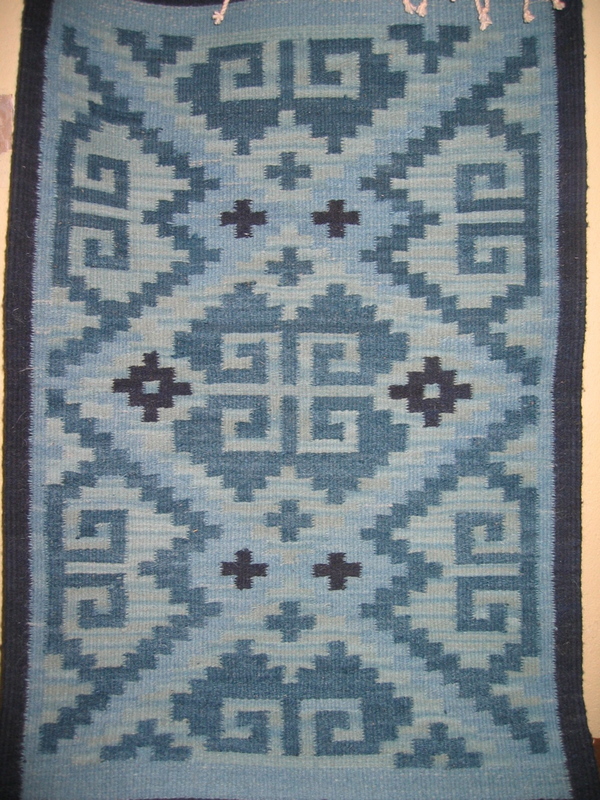 The next rug is the Square Snail, that uses all indigo in various shades. The snail (caracol) here incorporates the greca or fret motif, a symbol that represents the stages of life: birth, growth, death, and rebirth. The next rug to the right of the Square Snail is called Contemporary, designed by Federico Chavez Sosa to incorporate the traditional Mitla ruins with a new look. 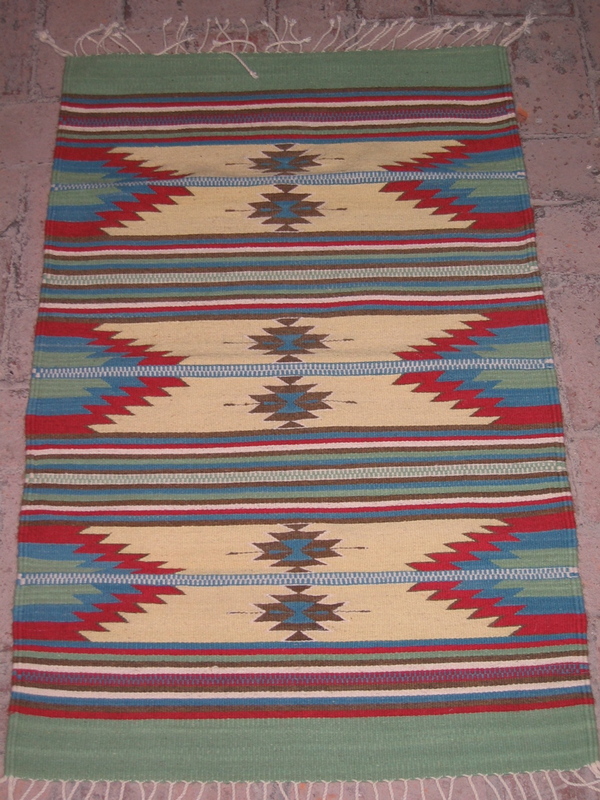 The last rug is Pina de Maguey. The pineapple of the maguey cactus grows beneath the earth and is cultivated to produce both mezcal and tequila. The Oaxaca valley is filled with maguey fields. 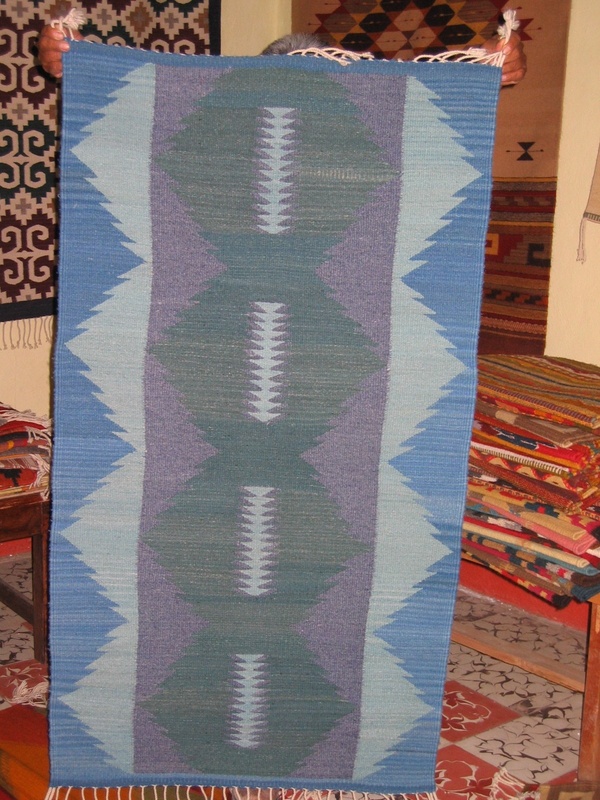 This rug, which Federico also designed, combines the traditional Zapotec Diamonds pattern with the interpretation of the maguey (or agave) plant. is also completely dyed with indigo. The color variations of indigo, from deep blues and purples to paler shades, results from the amount of indigo used and whether it is mixed with an acid or base. 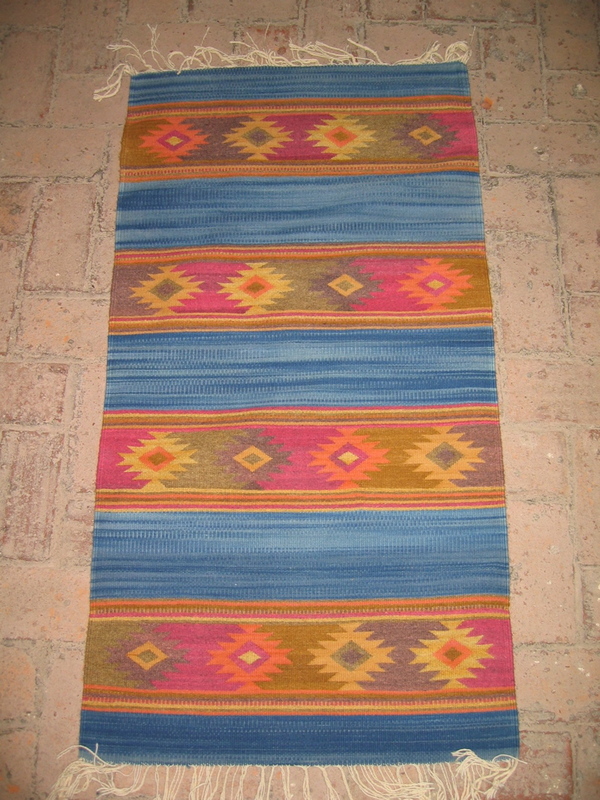 See my website and the Rug Gallery for more examples of great Mexican rug patterns. This entry was posted in Oaxaca Mexico art and culture, Oaxaca rug weaving and natural dyes, Teotitlan del Valle, Travel & Tourism and tagged Chavez Santiago Family weavers, Federico Chavez Sosa, handwoven wool rugs with natural dyes, indigo dye, Mexican rug patterns, Mexico rug designs, Mexico rug patterns, Oaxaca rugs, Teotitlan del Valle. Bookmark the permalink. where may I purchase blue/ purple rug? Lynn, did you see a rug you want to purchase on my web site or shall I send you photos?